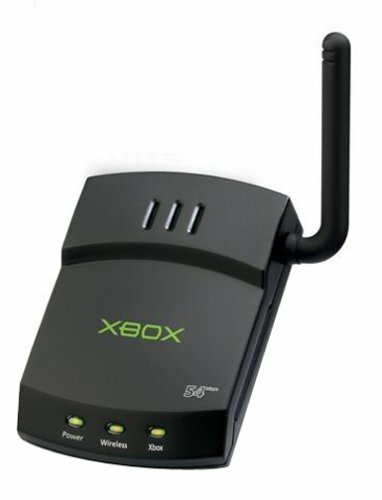 The ability to connect to the internet with a gaming console has changed the experience that you have with these devices. To understand the changes you need to consider what the user experience was before internet connectivity come about. You should then consider what has changed with the use of the internet. There are 4 main points that have changed in the use of gaming consoles and they are the way you get games, the use of a gaming console, how you upgrade your game and the custom content you can use. In order to understand what has changed with the coming of internet connectivity to gaming consoles you have to understand the traditional experience. To play on a gaming-console you would traditionally need to purchase the game disc. This would be done through a physical store or an online game store. Once you had the game you were able to load it onto the console. Some consoles had the option of storing your game progress on the console while others required a memory card. If you wanted to have a multi-player game you were limited to the number of controllers that could be connected to the console. This was the traditional way of using the gaming-console. With the coming of internet connectivity many aspects of gaming-console use has changed. One of these is the way that you get a game. While you can still purchase the disc version of a game you can also purchase the digital version of the game. To purchase the digital version of a game you simply jump onto your BT broadband, or whichever service you are with, and buy the game from an approved provider. Once you have the game you can download it directly onto your gaming console where any progress will be stored. This makes buying and playing games instant as you do not have to wait for the game to be sent to you. The digital versions of games are also generally cheaper than the disc version. Of course, there are some problems that gamers have with the slow and steady eradication of disc games. The main problem is that you cannot use the digital game on a gaming-console that is not registered to you. This means that if you have the new Assassins’ Creed game you cannot go to a friend’s house and play the game on their console. Many people do not find this to be a major issue, but there are a lot of people who are not keen on this. Another problem that you can have with the digital purchasing of games is that when the server is down you can’t buy a game. There have been times when the online stores associated with certain consoles have been down and no-one is able to buy games. There is also a concern about the security and safety of online purchases through game consoles. This has been made worse by the hacking of these systems and the publishing of the information that the hackers found. Internet connectivity has also changed the way that gaming consoles are being used. Traditionally gaming consoles were only used by gamers who actually regularly played games. Today they can be used as multimedia hubs. Being able to connect to the internet with these devices allows you to access internet TV services like Netflix. As the gaming-console is already attached to the TV you can easily navigate and watch TV using these devices. It is not only the introduction of the multimedia experience that has changed the way that gaming consoles are used. Multi-player gaming has changed with the use of internet connections as well. Previously all the players would need to be in the same room and using the same gaming-console. Now you can connect with other gamers from across the globe. Multi-player gaming has been taken to a new level with the introduction of internet connectivity on gaming consoles. When you get a game you have to consider that there could be bug and glitches in the system. To overcome this gaming manufacturers release patches and upgrades. Before the use of internet connectivity with gaming consoles you simply had to deal with the bugs and glitches. Today you can easily download the patch from the internet. This downloading of gaming patches is one of the reasons why you need to have gaming broadband. These patches can be very large and need to be downloaded fairly quickly. It is not only patches that you can get through the internet. There are a lot of gaming manufacturers that release online expansions for their games. This makes the game more exciting and often adds an additional level to the game. Previously you would have to buy the expanded version of the game. Now you simply download the upgrade to the game and continue on. Custom content is something that computer gamers had while gaming console gamers did not. This content is something that manufacturers and gamers create to make game play more exciting. Being able to download custom content is something that not all gamers are very worried about. However, there is a lot of content that can make your overall gaming experience better and more exciting. Of course, you have to be careful when you download custom content onto your gaming console. You need to do this from a reputable source otherwise you could find the content conflicting with your game. There are also some hackers who use custom content as a means of gaining access to the information in your console and your broadband connection. Once these hackers are in your gaming console they can easily follow the broadband connection to your computer. There are many ways that broadband connections have changes the way people use and experience gaming consoles. These devices are no longer only for gaming as they have been turned into multimedia hubs.